He also won a gold medal at the 1979 Pan American Games. RIP. 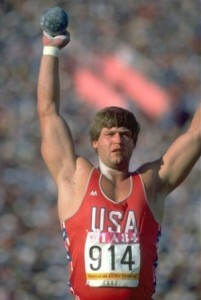 Police say former Olympic shot putter Dave Laut has been shot to death outside his Southern California home. Police officials said the 1984 Olympic bronze medalist and Hueneme High School athletic director was shot multiple times around midnight Thursday. Sgt. Ron Whitney said the 52-year-old was at home when he and his wife heard noises in the backyard and he went outside to investigate. Shots were fired moments later, and Laut died at the scene.